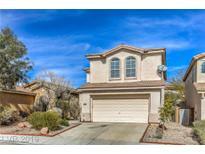 Below you can view all the homes for sale in the Via Dana At Southern Highlands subdivision located in Las Vegas Nevada. Listings in Via Dana At Southern Highlands are updated daily from data we receive from the Las Vegas multiple listing service. To learn more about any of these homes or to receive custom notifications when a new property is listed for sale in Via Dana At Southern Highlands, give us a call at 702-323-5933. Upstairs is the huge master bed & bath plus 3 more bedrooms, 3rd bath & laundry up. Amazing amenities! ! MLS#2089479. Vegas Dream Homes Inc.
Easy care bkyd w/gazebo, a working spa (new spa cover) syn. grass! ! MLS#2085759. RE/MAX Advantage. *move-in Ready*2 Story Home*great Curb Appeal*located In A Cul-de-sac In Southern Highlands*upgraded Tile & Wood Laminate Floors*vaulted Ceilings*fans*cozy Fireplace With Rock Accents*sunny Kitchen With Granite Counters, Island, Ss Appliances & Breakfast Bar*double Sinks In Master Bathroom With Large Garden Tub, Glass Shower And Walk-in Closet With Mirrored Doors*patio In Back With Pavers*low Maintenance Landscaping*2 Car Garage With Shelves* MLS#2082767. Keller Williams Market Place. No carpet in the house!Covered patio downstairs and huge balcony with amazing view upstairs.Pool sized backyard. MLS#2077080. RE/MAX CENTRAL. 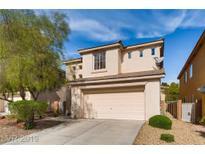 Nearby shopping center w/access to 15 & 215 freeways. MLS#2076683. GK Properties. This home is on a premium lot, it won't last long MLS#2076945. The Mor Group. Master same level as main living areas. MLS#2076261. Signature Real Estate Group. A must-see, clean and move-in ready home in the Southern Highlands community! MLS#2072765. BHHS Nevada Properties. Home has been freshly painted. Super home! ! MLS#2056237. BHHS Nevada Properties. House is carpet FREE for ez cleaning & allergy sensitivity!! HOME IS SPOTLESS!! ! MLS#2030732. Meridias Realty Group.